Microsoft's Office Insider program has just welcomed another app to its portfolio – Outlook. Up until now, members of the beta program could only test early builds of Word, Excel, PowerPoint and OneNote, but starting today, they will be able to try out new features added to Outlook as well. 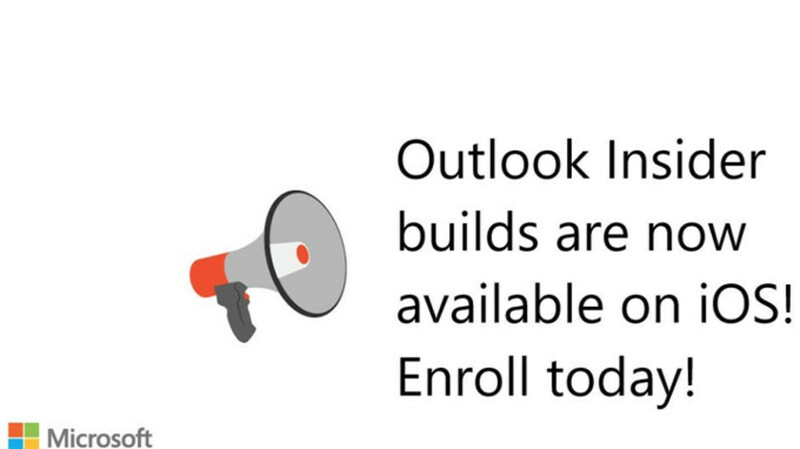 However, the announcement mentions that there's limited space available, so not all Office Insiders will have access to Outlook for iOS beta builds, at least not at first. All those who want to try it out will have to enroll in the beta program and hope they will be picked by Microsoft. In order to participate in the Office Insider program, you'll first have to install the TestFlight app via App Store and follow the instructions provided by Microsoft. Also, it's worth noting that you won't be able to use the stable version of the app if you install a beta build through the Office Insider program, so you'll have to uninstall that first. Enrolling in the Outlook for iOS beta program doesn't guarantee that you'll receive a beta build since there are limited spots available, but Microsoft will inform you whether or not you've been accepted as a beta tester.